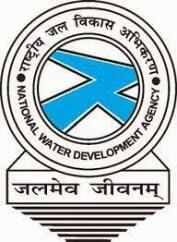 NWDA Notification 2019.National Water Development Agency (NWDA) has released a notification for the recruitment of Junior Engineer, Stenographer, LDC, Junior Accountant vacancies.Check the eligiblity and notification prior to apply for the positions. Selection will be done as per Computer Based Online Test, Skill Test. Look around for “NWDA Recruitment 2019 for Junior Engineer, Stenographer, LDC, Junior Accountant Posts“.